14mm Wide Band Ring, Rock Gothic, . Material: Real 925 Sterling Silver, Meets International 925 Sterling Silver Jewelry Standard, Lead & Nickle Free, Eco-friendly. 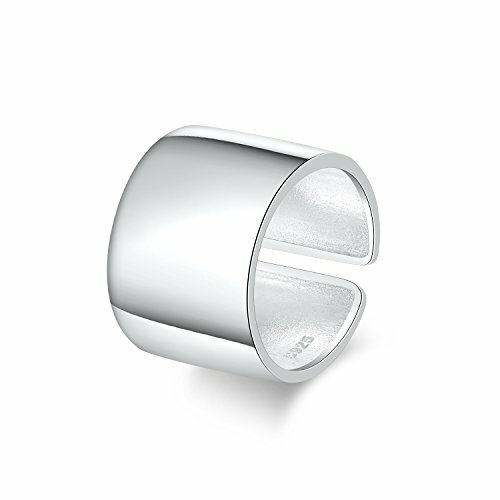 Adjustable Size: Fits US Size 5 - 7, Open Ring Cuff Band, Wear On Any Finger You Want. 14mm Width, Super Wide, Big Open Ring. Plain Smooth Surface, Minimalist Fashion, Rock, Gothic Style. Comes With Good Gift Box, Ready For Gifting. Occasion: Vacation, Daily, Party, etc. If you have any questions about this product by Silbertale, contact us by completing and submitting the form below. If you are looking for a specif part number, please include it with your message.